Maturity (date the final payment is due) is not a good measure for analyzing an amortizing payment stream. A 30 year payment stream comprised of principal and interest payments is very different than a 30 year bond with coupon and balloon. While both are ’30 year deals’, they are vastly different exposures to the underlying credit. Instead of maturity, a more suitable way of comparing these cash flows is Weighted Average Life (WAL). It is the average number of years that each dollar of principal is outstanding. As weighted average life is the (weighted average) number of years that an investor’s principal is extended in an investment, it’s an appropriate way to compare investments among different credit risks. Given two investments with the same WAL, conservative investors should pick the one with the higher underlying credit quality of the issuer. That’s where Structured Settlement Annuities really shine- they are issued by excellent quality carriers, and as they are typically amortizing payments, they carry a shorter WAL than bonds of similar maturity comprised of principal and a balloon payment. Most Structured Settlement Annuities are fixed, guaranteed receivables from high credit quality issuers. Income streams return principal plus interest, and lump sums accrue and return a single payment. They have varying WAL, but the underlying carriers all offer very high quality credit. Due to the high credit quality of the underlying issuers, a longer WAL is therefore a desirable characteristic. The rationale is that you would rather have a long exposure to Met Life than you would have to a long exposure to a lower credit quality speculative investment. 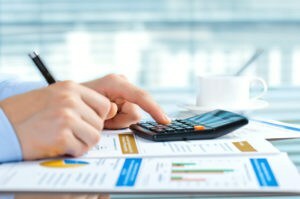 There are two ways of calculating WAL- one uses the amortization schedule with mostly interest in early years, and mostly principal in later years. This is similar to a loan amortization, and cash flows with higher rates have a longer WAL. The WAL varies with every change in interest. However, unique to annuities is the concept of the ‘exclusion ratio’ wherein principal and interest are recognized evenly over the life of a payment stream. Given a $100,000 investment and guaranteed $200,000 payout for example, the exclusion ratio dictates a 50% principal/ interest allocation. Mindful of the two methods of calculating WAL, let’s look at method 1, using the amortization schedule. Let’s analyze this calculation. The numerator represents total interest payments, while the denominator represents annual interest payments. Your principal is returned in 19.31 years, on a weighted average basis that values early return of principal higher. Under this methodology, higher interest rates carry a longer WAL, because each payment has less principal and more interest. What we do in the DCF Time Value calculator is to multiply the principal portion of each monthly payment by the days that principal was outstanding, then divide by the total principal/365. Under an amortization schedule, there is a different amount of principal with each payment, less in early years and more in latter years. By using the ‘dollar days the principal is outstanding’ we get an accurate WAL calculation that returns a different result with every change in interest rate, as it should. The second method of calculating WAL uses the exclusion ratio to determine the amount of principal and interest in each payment. Annuities in general utilize an exclusion ratio when calculating taxes, so it’s reasonable to apply this to the entire amortization schedule. eg, an investment of $1000 that pays a total of $2000 will have 50% of every payment principal, and 50% of every payment interest. Using this alternative method, assume the same $10,000 investment and payments of 360 monthly payments of $59.96. These payments total $21,585.60, therefore, $10,000/$21.585.60 or 46.33% of each payment is principal. Multiply the constant amount of principal inherent in each payment by the days that principal was outstanding, and divide by total principal / 365. This methodology results in a WAL of 15.05 regardless of the interest rate used in the transaction. The principal is returned in just over 15 years using this second method. Lets look at three examples. 1) Single Pay Lump: $100,000 investment on 01/01/15 pays $162,889.47 on 1/1/25 at 5%. This would be displayed as an Immediate Income case with 10 year maturity. However, the WAL using the amortization schedule is 5.45 years, and the WAL using the exclusion ratio is 5.0. Your principal is returned in just 5 years. The exclusion ratio is 78.9%- eg, 78.9% of each payment is principal, and the remainder (21.1%) is interest. With these three examples, you can easily see how three totally different payments that all are ’10 years’ to maturity actually have three very different payment characteristics. Thus, maturity is not a terribly accurate way of comparing. Weighted average life is a more accurate measure of risk and cash flows than maturity. It helps an investor compare investments and time. For a bullet (non-amortizing) payment, such as a zero coupon, the Weighted Average Life will be the same as its term because the full principal is repaid at maturity. For a payment stream with a given maturity, WAL increases with the increase in coupon. This happens because with a higher coupon, the principal payments are further delayed in time. Lower yield also produces a shorter WAL as more of each payment consists of principal and less interest. WAL relies upon an amortization schedule, and the number of days that principal is outstanding in an investment to determine the weight. As there are two different ways of illustrating principal and interest in annuity transactions, it’s only natural there will be two different expressions of WAL. We use the ‘Exclusion Ratio’ method of calculating WAL as it remains constant despite changes in rate and price. Click on WAL – Two Methods to download a sample of the WAL calculation methods showing the formulas used by the DCF Exchange.